AGENCIA MARITIMA BLAZQUEZ CRUISES, S. L.
Founded in 2013, it belongs to the Agencia Maritima Blazquez enterprise group and is dedicated to passenger ship's consignation and care. 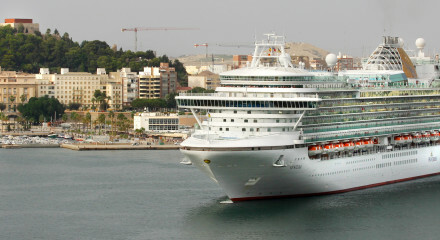 SS "Grand Princess" berthed in Cartagena. 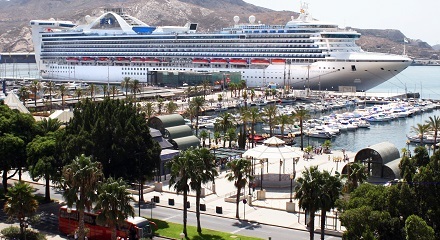 With a long experiencet in the industry since the beginning of this activity in our port, we are top providers of passenger ships agency in Cartagena and represent major cruise shipping companies both directly as P&O Cruises and Cunnard and through general agencies as Intercruises, Perez y Cía, SA, and Transcoma Cruises.  For the developement of this activity we created Agencia Maritima Blazquez Cruises SL in 1913 as a member of our group.